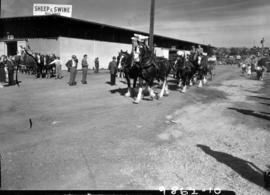 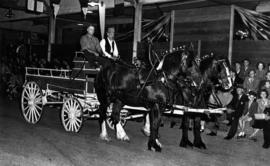 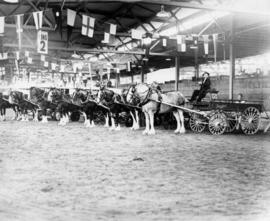 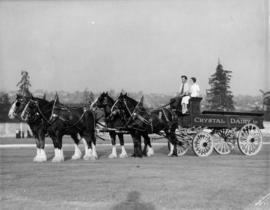 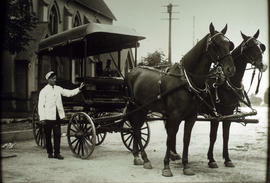 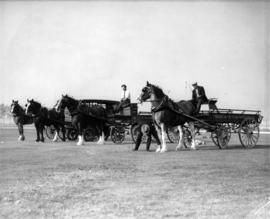 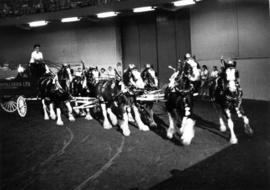 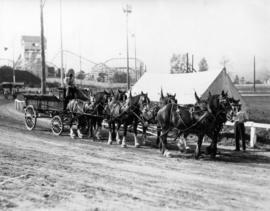 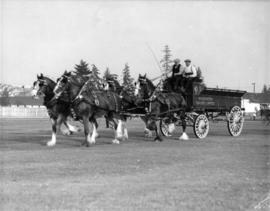 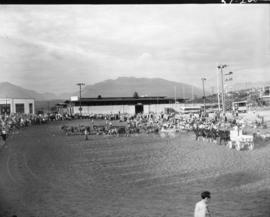 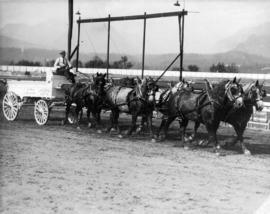 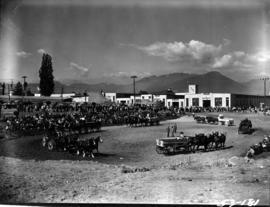 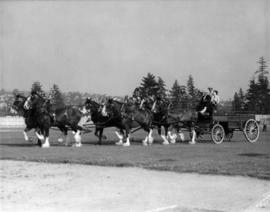 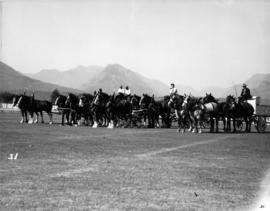 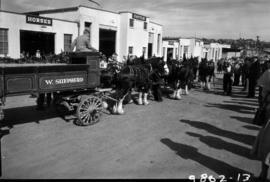 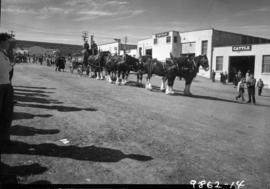 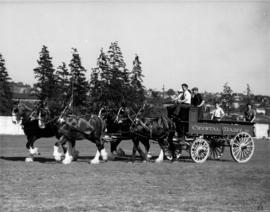 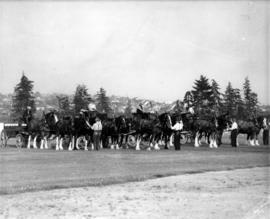 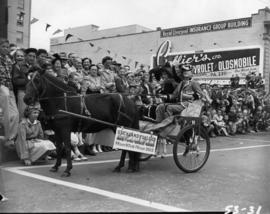 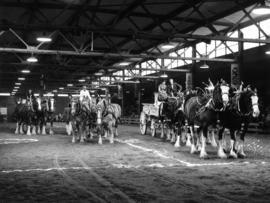 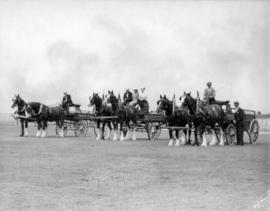 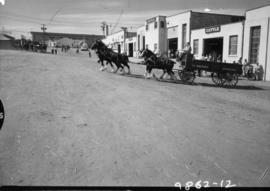 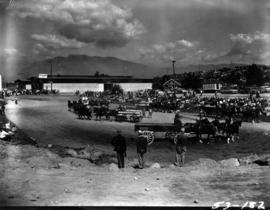 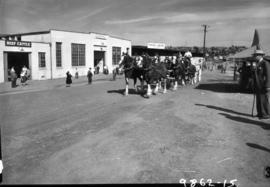 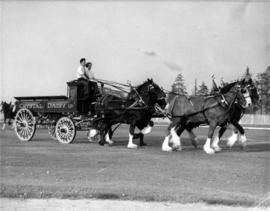 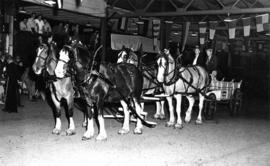 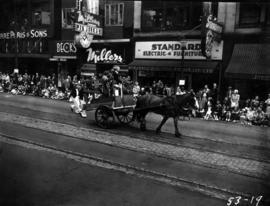 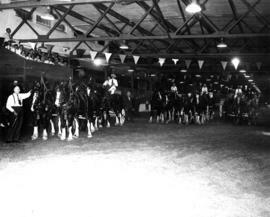 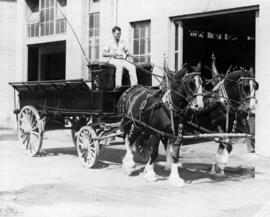 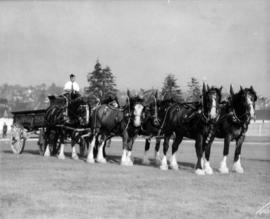 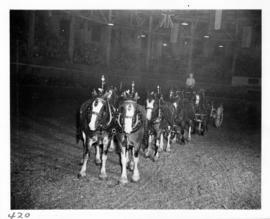 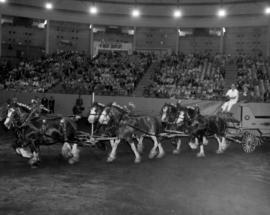 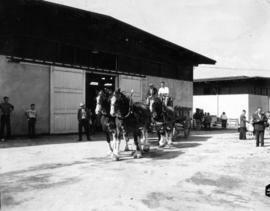 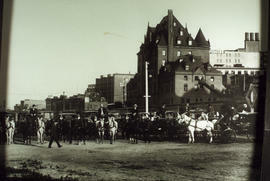 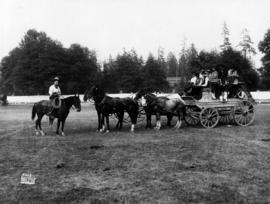 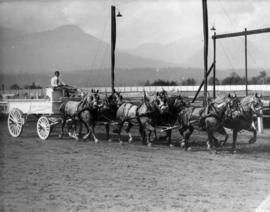 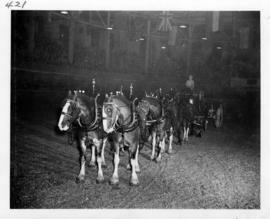 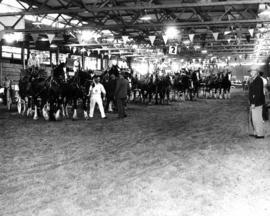 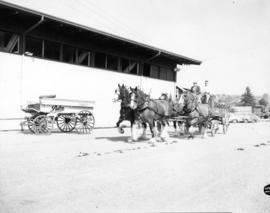 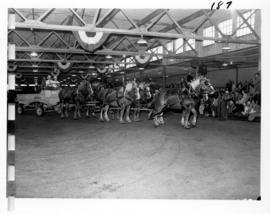 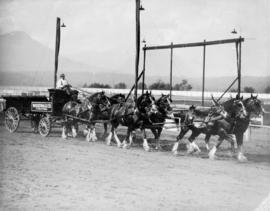 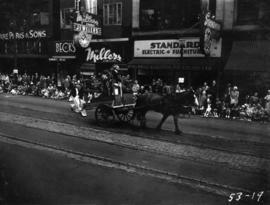 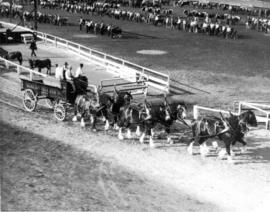 Four-horse team and wagon owned by W. Shepherd of Richmond, B.C. 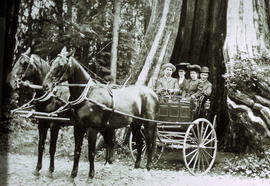 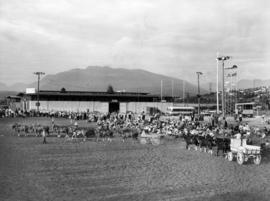 Stanley Park - 1906, Vancouver, B.C. 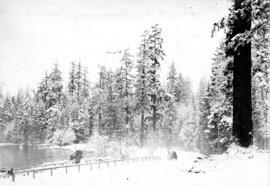 Item is a photograph showing a horse drawn carriage in the snow at Stanley Park. 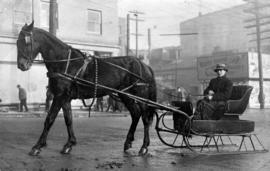 Item is a photograph showing Vancouver resident, Walter Snell, lamp trimmer with B.C.E. 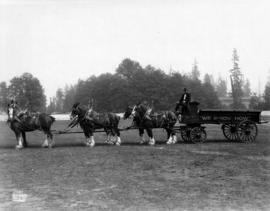 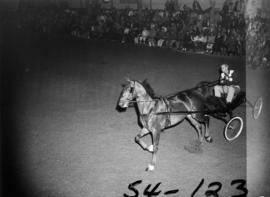 Railway, later motorman on the Central Park run, pictured in a horse drawn sled.